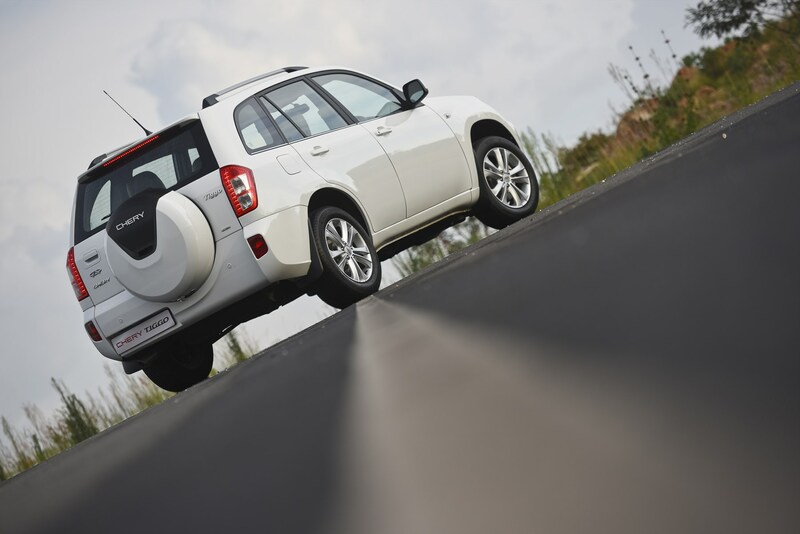 The Chery Tiggo remains a fully specified vehicle with all the extras included as standard. An important change to the interior is the fitment of grey, leather-trimmed seats, while convenience features include Bluetooth, steering wheel-mounted audio controls and rear park distance control. Hill start assist is another useful feature which is standard. Air conditioning, power windows, power steering, electrically-operated exterior mirrors, 60/40 split rear seat backrest for load versatility, an audio system with CD player and MP3/USB jack are all standard fitment as is central locking with remote keyless entry. Safety is very high on the list of Chery’s priorities with the new Tiggo and standard equipment includes an electronic stability control programme (ESP), dual airbags and ABS with electronic brake distribution (EBD) as well as ISOFIX fittings for child seats. Besides a big improvement in the level of standard equipment there is now added peace of mind for Tiggo owners with a 3-year/75 000km service plan, factory-backed 5-year/120 000km warranty and roadside assistance. Chery has a substantial footprint in the major centres of South Africa with 31 dealers ensuring efficient and convenient after-sales back-up. Chery South Africa has made a significant local test programme obligatory before the launch of any new or revised model and this is the case with the latest version of the popular Tiggo medium category SUV which was launched at the Beijing Motor Show last year. Knowledgeable motor enthusiasts will have seen the latest Tiggo driving on a variety of road surfaces all over the country as part of an extensive local evaluation programme. The Tiggo is particularly popular in countries with rough road conditions. It is the top-selling SUV in Egypt, with a 40% share of this segment and is also popular in South America. Testing of the current, two-wheel drive Chery Tiggo here in South Africa previously included conquering the icy Sani Pass in winter. This rugged mountain pass, which is the only link between KwaZulu-Natal and Lesotho, is usually the environment for four-wheel drive vehicles so one can imagine how surprised the locals were to see a convoy of three Tiggo SUVs arrive at the summit, just before the Lesotho border post and 2 874 metres above sea level. Chery SA sees the positioning of the latest Tiggo as being a well-built and value-for-money offering which is larger than many of the similarly-priced but smaller SUVs on the local market. The marketing team sees its appeal as being 50/50 male and female and with particular appeal for those who enjoy an active, outdoor lifestyle. This is certainly a model in the Chery stable that ticks all the right boxes and should find a ready market in South Africa with the strong swing towards SUVs for personal transport.